Yes I know, the title to this page is a little strange, but so is the object the page is about. When preparing for a night of observing in the late summer of 2009 I used a different strategy than I usually do. Normally I would check which objects of my big “to see” list where observable by using Skytools and then a would make a selection. This time however I decided to just use the interactive map feature and see what I would come across in the neighborhood of a few well know objects. 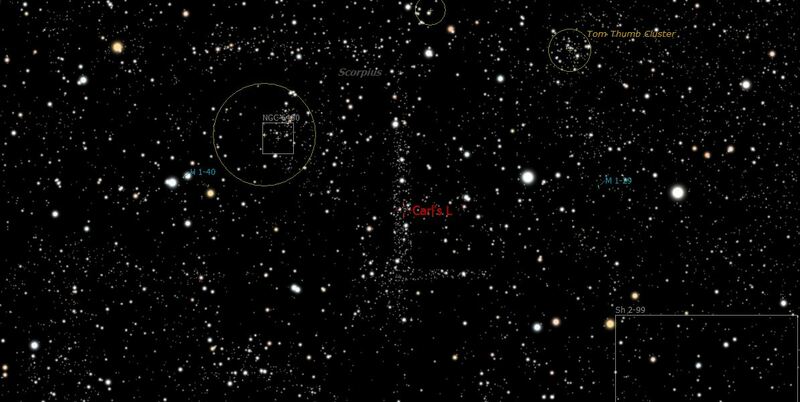 That’s when a came across what appeared to be an small asterism shaped like a large L.
According to skytools it would be visible in my 17.5 inch using a 17 mm Nagler (121x). Since I first thought it was a glitch in the program, I searched for a few pictures of the area. None of them showed the object. All showed a rather homogeneous field of stars. That night I tried to find it and to my surprise it was actually visible. 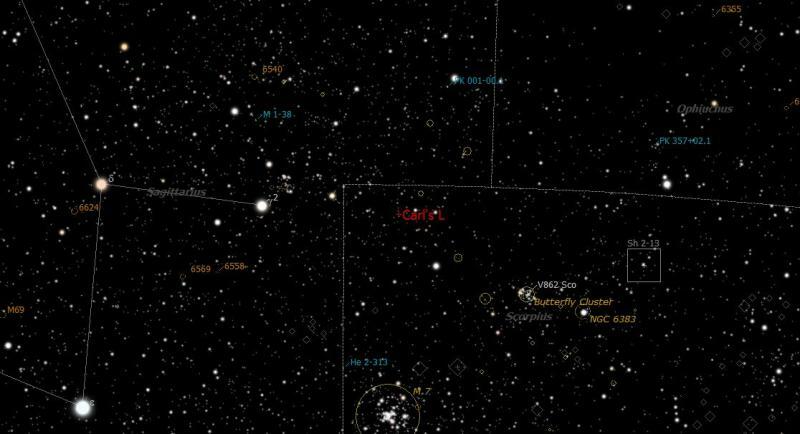 The asterism consists of a few stars of 10th mag and a lot of stars of 12th mag and fainter. Its not a spectacular object, but the straight line on the long side of the L is quite distinctive. 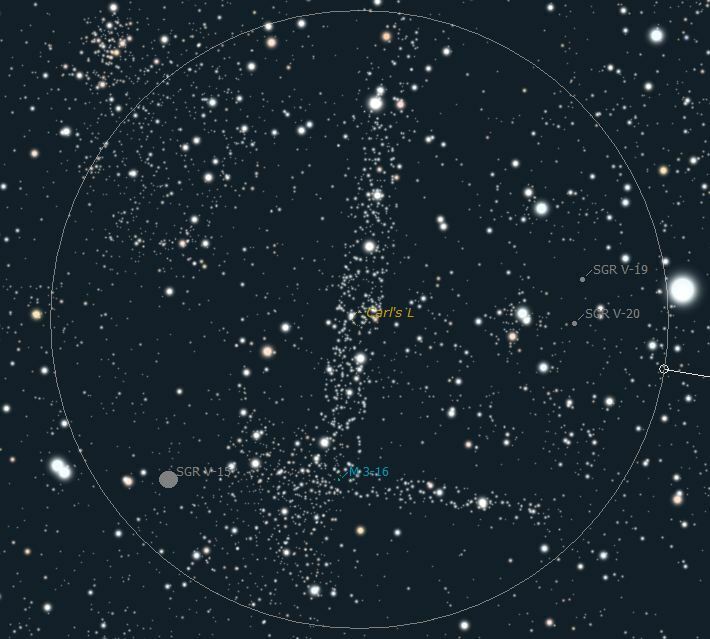 So if you are observing objects in the vicinity of this asterism, do have look.